While most mobile phone companies try to break into the business market, Vodafone has started its journey in the opposite direction to become, in its own words, one of the leading providers of consumer communications and entertainment services. 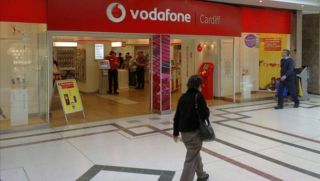 The company, which is rumoured to be considering buying Virgin Media from Liberty Global, has launched Vodafone Connect, a home phone and broadband service bundle, which will be available to UK customers later this summer. Vodafone uses the Openreach network to offer these services, which explains why the maximum speed on offer is 76Mbps with up to 22 million premises expected to be within reach when it launches. The broadband service will be unlimited and will include some interesting features like Boost, which allows users to prioritise devices or Beam, which uses Beam-forming technology to send stronger signals to compatible devices. The offer is only available to Vodafone customers for now, who will also get £5 off the standard broadband price every month with the first 12 months being "further discounted to half price". The top of the range offer carries a total cost of ownership of £23.60 per month for the first 12 month. Pay monthly mobile customers (Vodafone Red) will also get unlimited anytime calls to landlines, plus 300 free minutes to mobile numbers. Every customer gets inclusive evening and weekend calls, plus discounted Sure Signal units to boost mobile coverage indoors as well as a new Vodafone Connect router.